Our game uses cutting edge soda physics. We used a patent-pending system to measure the explosive power of soda cans and built a game around our research. 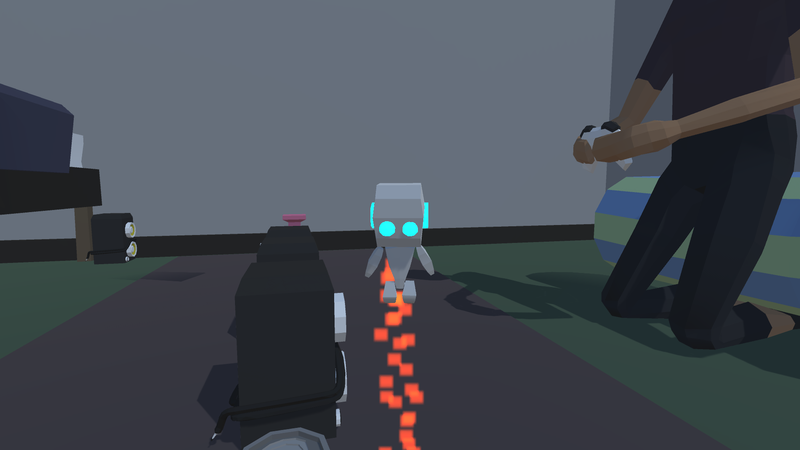 We also created a cute robot with a jet pack. He's called Minibot. 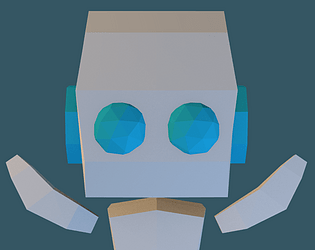 In Train Your Minibot, you play as a teenage robotics student who is testing the limits of creation by building obstacle courses. After creating a path through the deadly course, you'll take control of Minibot in order prove your skills and beat every level. 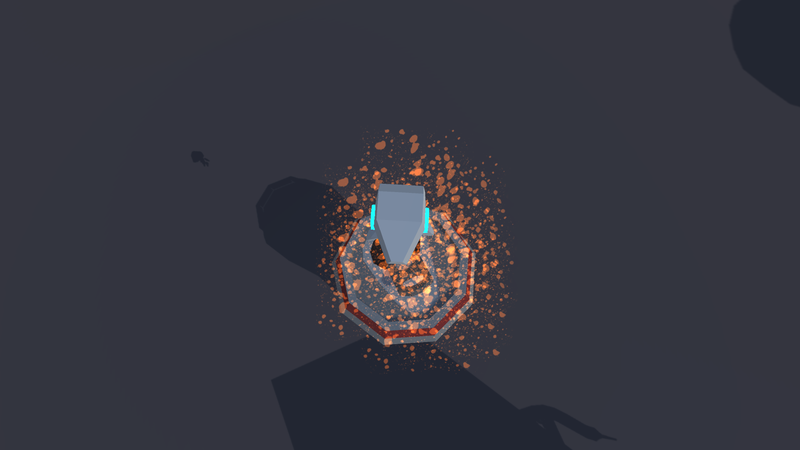 Remove Placed Object - Right Click on it. The programming was worked almost each day of the allotted time period for at least four hours each. However I didn't keep track too closely. Do believe the work was spread out nicely so that crunching was never really needed. Art was also spaced out quite well. With the number of days provided he was able to get all our art done within only about 2 hours each day of the jam. All Artwork in the game was created by @andrewhowz and programming was done by @SkyTech6. Our music and sound effects were from GDC CC0 sound packs. Got the same bug described by Strikefinger. A way of improvement could be making easier to edit during the human mode. 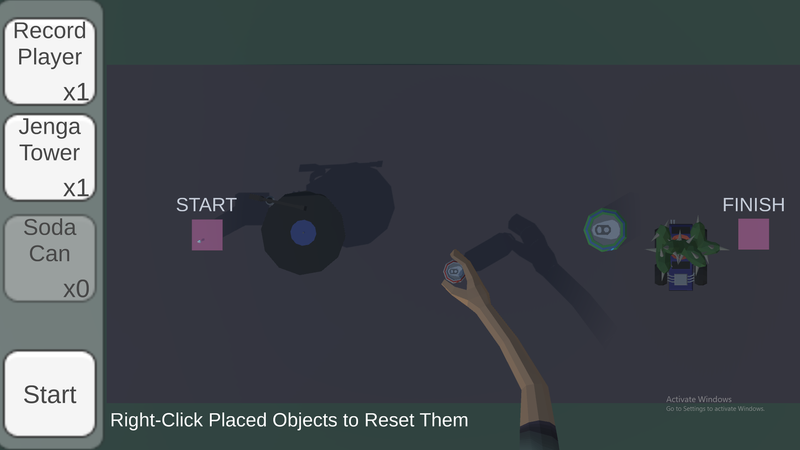 When I wanted to move an object I could not easily, I had to remove it then click on the button then place it again. That's a feature we have planned for future developments (if developing this game does continue). 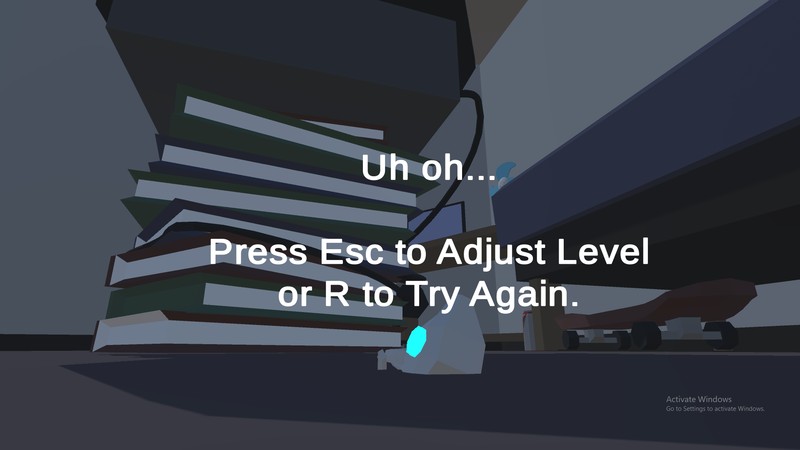 Human Mode is essentially an in-game level editor, which given the amount of time allotted I feel pretty good about despite missing some quality of life features such as that one. Thanks for the feedback and confirming more that bug haha. It's funny cause the artist on the project kept mentioning the bug to me but I couldn't replicate it. But it seems others are running into it quite often. Perhaps the way I play the game is influenced by the way I coded it? So I was never inclined to instantly hitting R the moment I died? Perhaps the frame before the text appeared? I know the fix now of course and it'll be the first post-jam patch (regardless if we continue developing it or not, I will bug fix haha). Ah, I think you missed the "Start" button that starts the third person Minibot mode.